As you know, Anker rocked the charging world a few years ago when we came out with the original PowerHouse, a clean and silent portable generator alternative with enough power for an entire mobile workstation, recreation gear, small appliances, emergency equipment, and so much more. Now, we’re rocking the House yet again with a new version of the category-defining portable battery. PowerHouse 200 is more compact and portable, but retains the incredible compatibility of the original PowerHouse, while adding one critical feature: Power Delivery. Not only can you charge your USB-C phones, tablets, and more at high speed, you’ll be able to recharge PowerHouse 200 itself through the USB-C input. Combining this with USB-A charging ports, a 12V vehicle-style outlet, and an AC outlet makes PowerHouse 200 ideal for almost any situation you may have to face without power. What uses can you think of for PowerHouse 200? If you’re ready to see what it can do, head on over to our Amazon listing to find out all the details. Camping, I think of camping since the first time I've heard about this PowerHouse! I assumed when it says “clean” they meant clean energy. If they can’t gaurentee it’s going to have clean energy or at least mostly clean energy I would call it deceptive advertising. If they mean that the actual battery is clean I would call that misleading advertising. Or in the last scenario it means something that I’m completely missing. In any case, I think it should be changed. Looks good.. the powerhouse is already good so this must be even better! I have to back Ndalby on this, first read to me clearly makes reference to a generator comparison. The clean and silent is absolutely true in this instance, the battery being the only part that has potential for hazard (although this system should be sealed for outdoor use which greatly lessens chances of leaks). To be honest as well, like most things, its perfectly clean including the battery unless something goes wrong. Please do not just make up facts or assertions without backing, its not very helpful to a thread. Giant generators does not equate to carbon emissions (nuclear reactors have no carbon fumes, not does solar/wind/water generators). Electric cars are very much more efficient in their use of energy versus gasoline (again, no fumes in nuclear/wind/solar/water). A lithium battery is always... I repeat always more efficient in its energy discharge and its cleanliness than the gallon of gas you would use in a generator. 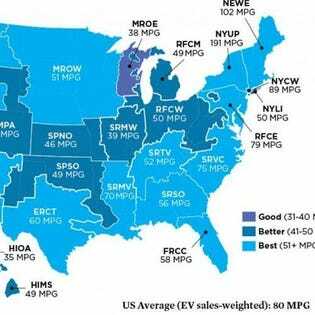 New research shows just how much cleaner driving an electric vehicle is than driving on gasoline, regardless of where it charges: EVs average 80 miles per gallon emissions equivalent across the U.S. - and reach as high as 191 MPG in New York State. The least polluting energy is nuclear. The wind energy or solar energy are polluting since you have to store the energy in lithium batteries since they are the most efficient and these 3 things have a useful life they do not last forever. I was hoping this would be around the $250 price range; especially with the original 400Wh PowerHouse selling for $350 on amazon. However the USB-C is a welcome addition! Omg ! Can't wait to get mines !